Now in his 12th season, James Neal has seen his fair share of action on the ice and that experience likely gives him an edge over the younger players who do not have the same mileage as him. But not even a veteran like him is immune to the occasional accidental hit that can knock a player's teeth out. Almost halfway through the third period of action, Canucks defenseman Alex Biega was trying to knock a puck out of the air near Neal . 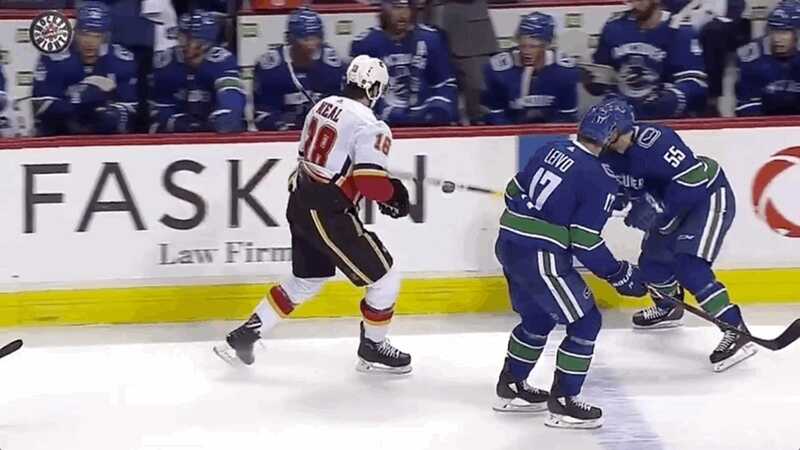 Unfortunately for the Flames forward, Biega's stick missed the pick and gave Neal a strong smack on the jaw. The Calgary player fell to the ground holding his mouth and was taken into the locker room to get his mouth cleaned up. The officials were about to start the game back up again, but they had to stop action again when they found Neal's teeth on the ground. Neal returned to the ice before Biega's four-minute penalty was over, but that was not because of the typical heralded toughness from hockey guys. He's had plenty of stuff done to his teeth over the years. Neal even took a puck to the face early in December and when he spoke about the injury afterwards, he was just thankful he did not have to get more dental work. "I did not see it so it was a big surprise when it hit me, obviously, "Neal said prior to Thursday's game in which he wore a partial facial shield for extra protection. "I was more worried about my teeth, I've had so much dental work in the last 10 years that if I look my teeth again, my posts. . . I do not know what I would have done. "I would have left the rink, for sure. I just thank God my teeth were not all gone again. Then, you worry about your jaw. About 10 things run through your head pretty quick. It's never fun. " If only Biega hit Neal in the face with a puck then he would not have to worry about his next trip to the dentist.